Valentine’s Day is right around the corner. It’s a perfect excuse to glam up the fingertips with some pink, red and hearts. 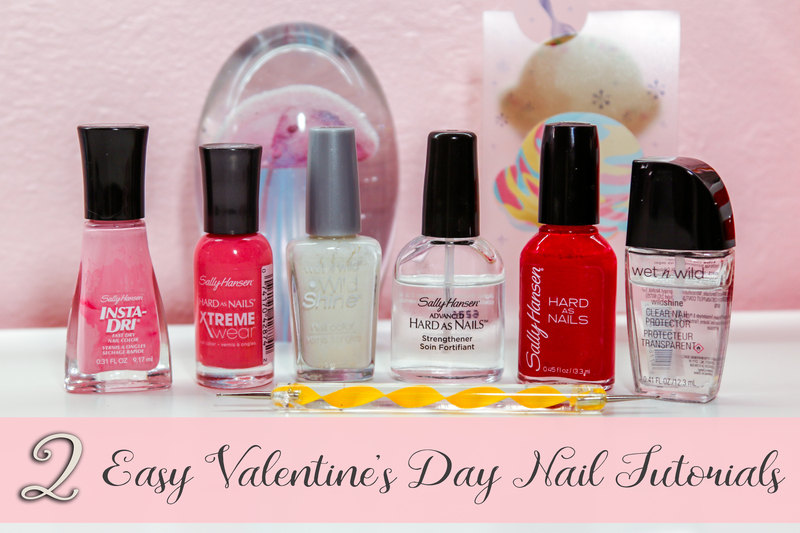 Highly inspired by the season of love, I created two Easy Valentine’s Day Nail Tutorials to share with you. These adorable nail art designs are so simple that you can’t mess them up even if you’re beginner level. 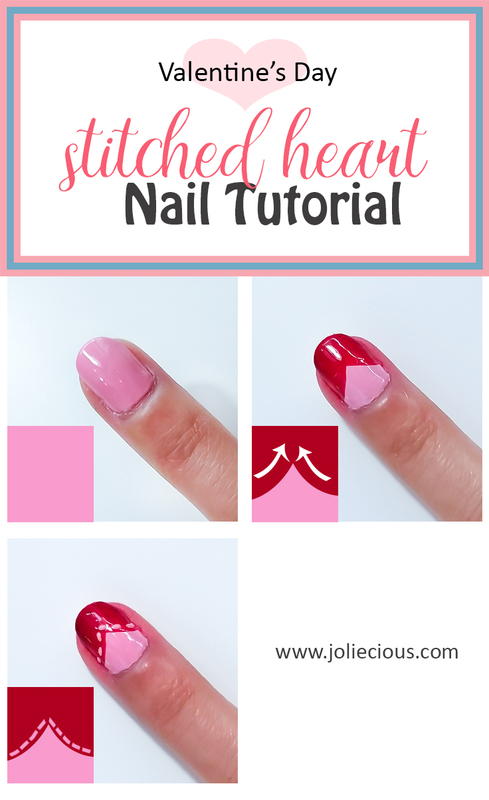 In these Easy Valentine’s Day Nail Tutorials, I use a nail art dotting tool. However, if you don’t have one, some toothpicks will do. 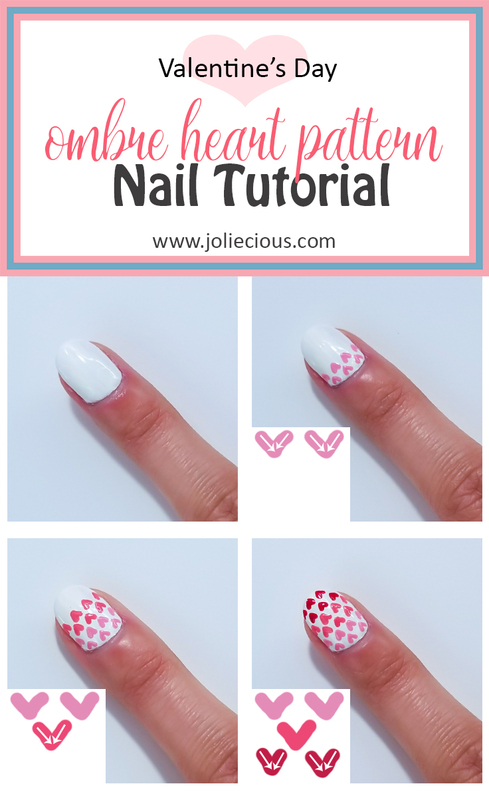 This nail art design was inspired by the heart patch on one of my T-shirts. I chose pink as my based color but, of course, you can use any color of your choice. Then, with the brush of the nail polish, create two strokes as shown in the photo to make the heart shape. Draw a broken line along the heart using a dotting tool or a toothpick to imitate the stitches. Wait a few minutes before applying a top coat to add shine and protect your nail design. Don’t be intimidated by the appearance of this nail design. It really is much simple than its look. First, apply a based color to your nail; I used white. Next, with a dotting tool or a toothpick, make some small Vs as shown in the photo. Change the polish color every two rows to create the ombre effect. Apply a protective top coat and you’re done! Out of the two tutorials, which one do you like more? Can you guess which one I love?